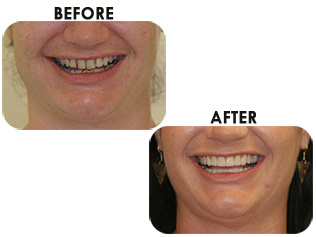 Welcome to our Gilbert dental office website. We are delighted you have chosen to look into our office for your dental needs and hope that your tour here leads to a personal visit. 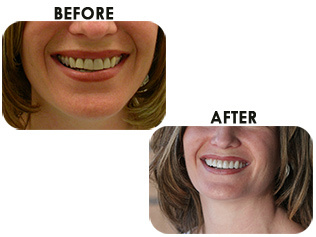 Looking for a Gilbert dentist can be difficult and confusing. There are lots of choices, so how do you know which one to choose? We aim to be the friendliest and most patient-oriented office around, and promise you a personalized experience that is hard to find elsewhere. 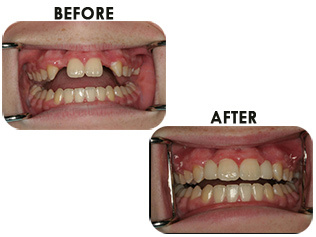 Gilbert Smiles creates dazzling, healthy smiles for all of our valued patients in a clean, relaxing and comfortable atmosphere. We are not a pushy corporate dental office that diagnoses people based upon sales quotas that must be met and we don’t run people in and out like they are on an assembly line. 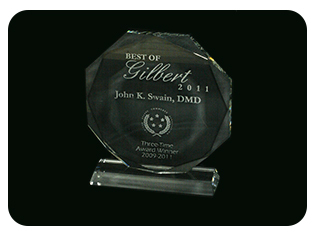 Instead, at Gilbert Smiles, Dr Swain is the owner and the only dentist. 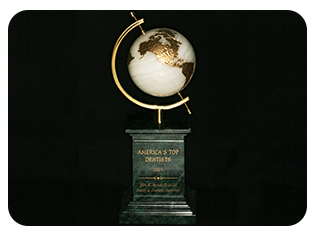 His core values include honesty, integrity, hard work and quality care. 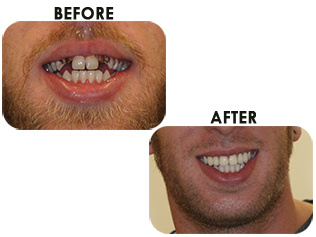 Our goal is to build trusting relationships with all of our patients so they will return again and again. 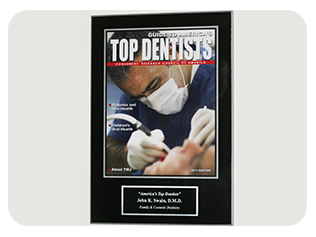 We do almost no advertising and most of our new patients come to us from word-of-mouth referrals or from Internet searches that show our great reviews. 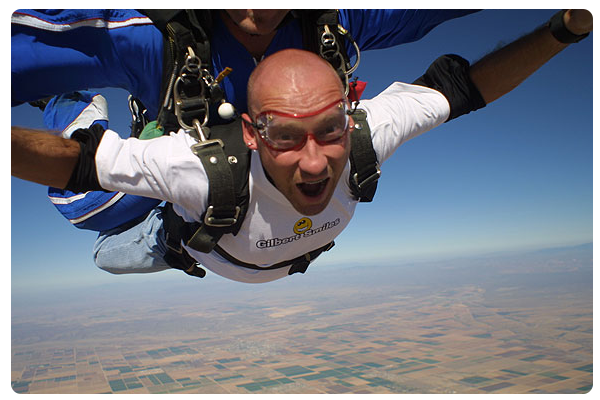 Our experienced, caring and friendly staff is trained to put you first. We will go the extra mile to try and assist you with scheduling a convenient appointment time, figuring out your dental insurance, explaining all of your treatment options and answering any questions you may have. We stress “an ounce of prevention is worth a pound of cure”. Dr Swain and his staff will spend extra time to help educate you on all of your dental needs and how they can best be managed. 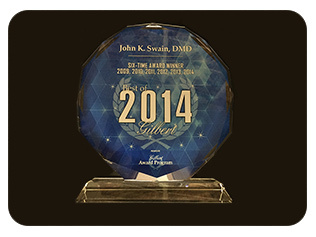 Dr Swain is extremely conservative in his approach to treatment. It is very common for us to stage treatment in order to take care of the most pressing issues first, address each patient’s chief complaints and work with your schedule and budget. 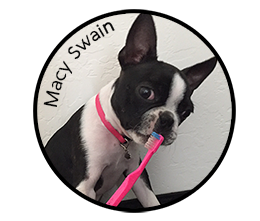 Of course, Dr Swain and his team are willing and able to help you with all of your dental wants and needs, but we are never pushy or sale-oriented. We also try to explain things in “plain English” instead of being overly technical or using dental jargon and Latin terms that no one understands. 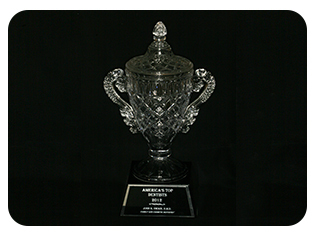 Our office also values your time and ours and makes every effort to get you in and out of your appointments on time. Because your comfort comes first, our office is designed to be warm and inviting with amenities like pillows, blankets, lip balms, bottled water and Direct TV that you can watch while sitting up or lying down. We incorporate technology and artistry and blend them with honesty and education to present affordable, personalized treatment plans for each individual patient as if they were a loved friend or family member. We use proven technology to improve patient care. 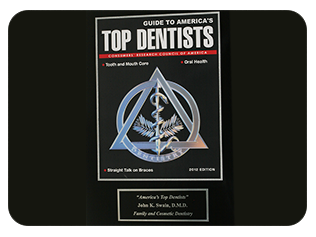 Examples include electric handpieces that are quieter and more efficient, digital x-rays and cavity detection as better diagnostic tools, intra-oral cameras so “you can see what we see” and soft tissue lasers for better precision. 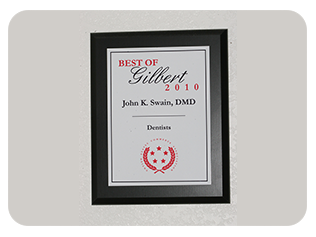 We believe your search for the best Gilbert dentist office ends here! What other Gilbert dentist do you know who has his own cell phone number printed on his business cards so that you can reach him personally after hours to attend to any dental emergency you may have? 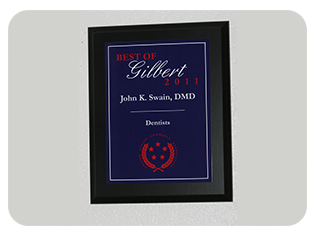 Dr Swain and his staff would love to meet you and your entire family and make you all a part of our Gilbert dental family. 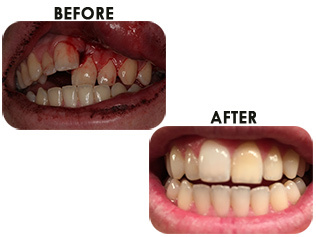 Emergency treatment is available and new patients are always welcome. 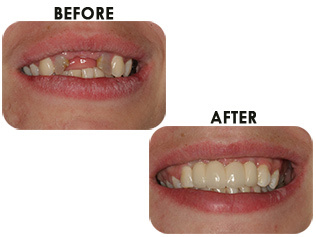 Please stop by or call for an appointment so we can help improve and preserve your smile for a lifetime.